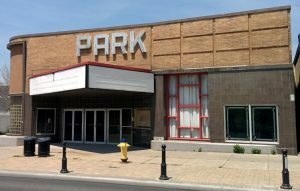 Bryan Lambert and Rocky Varcoe, owner of the Park Theatre, were John Hill’s guests on Week in Review on 89.7 FM to discuss the latest proposal from the “Friends of the Park Theatre”. Ken Strauss, one of the CTA Directors, discusses CIVIC, a proposed Economic Development project that affects all citizens and taxpayers. Although there are numerous aspects of the CIVIC proposal that are questionable, the most serious is the entire lack of accountability to the public. Debra McCarthy and Ken Strauss were John Hill’s guests on Week in Review on 89.7 FM to discuss Council’s voting for to waive the $300k development charges and fees for the North Medical Arts Inc.
Council in their Committee of the Whole Meeting voted in favour of waiving over $300,000 in fees and development charges due from North Medical Arts Inc.(NMAI). Only Councillors Brian Darling and Larry Sherwin opposed the waiver. The CTA is asking all Cobourg taxpayers to contact the Councillors who voted for the waiver of development charges & fees and let them know that you are opposed to the waiver. Ken Strauss of the Cobourg Taxpayers Association was a guest on John Hill’s “Week in Review” show on 89.7 FM to discuss the Northumberland Medical Arts Inc. request for waiver of building permit fees and development charges presentation to Council on November 9, 2015. The 2018 Sunshine List is Out!